1. The Lord's Supper is about remembering the person and work of Jesus. 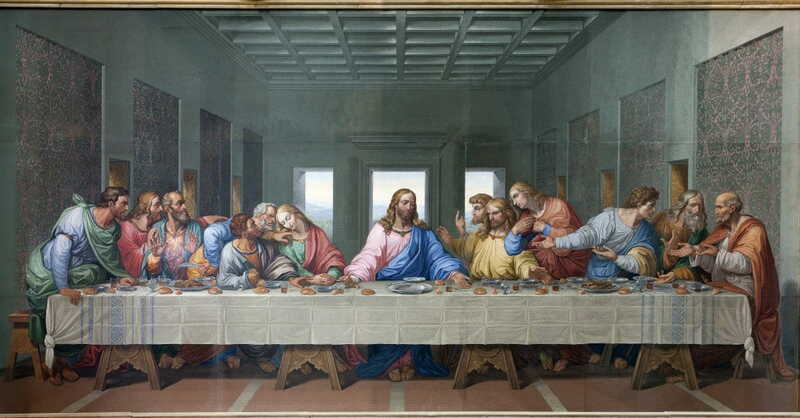 The Lord's Supper is primarily (but not exclusively) designed to elicit or to stimulate in our hearts remembrance of the person and work of Jesus: “Do this in remembrance of me” (1 Cor. 11:25). Participation at the Lord's Table is not an option. Prolonged absence from it is spiritually unhealthy and willful neglect of it may be grounds for church discipline. It isn't enough simply to say, “Remember!” The elements of bread and wine are given to stir our minds and hearts. The physical action of eating and drinking is designed to remind us that we spiritually “ingest” and depend upon Jesus and the saving benefits of his life, death, and resurrection. Just as food and drink are essential to sustain physical existence, so also the blessings and benefits that come to us through the body and blood of Christ are paramount to our spiritual flourishing. We are to remember Jesus. The focus isn't on Abraham or Moses or Isaiah. The focus is no longer on the Jewish Passover or the night of his betrayal or anything else. The focus is Jesus. “Do this in remembrance of ME” (1 Cor. 11:25). In this remembering we also proclaim the Lord's death till he comes. This, then, is not merely an ordinance that looks to the past. It is an ordinance of hope that points to the future. 7. The Lord's Supper must be taken in a worthy manner. "In some Christian circles today the fear of partaking unworthily in the Supper leads to believers of otherwise excellent character refraining from coming to the table of the Lord. When this happens, Paul's warning is being misunderstood. The Lord's Supper is the place where the forgiveness of sin is proclaimed and offered to all who would receive it. Paul's warning was not to those who were leading unworthy lives and longed for forgiveness but to those who were making a mockery of that which should have been most sacred and solemn by their behaviour at the meal” (116). To partake in an "unworthy manner" thus entails at least three things: (a) calloused disregard for others in the body of Christ (see vv. 20-22); (b) an attempt to combine participation at pagan (demonic) feasts with participation at the Lord's table (see 1 Cor. 10:14-22); and (c) flippant disregard for what the elements represent (vv. 23-26). 8. The Lord's Supper is not just another meal. To be “guilty of the body and blood of the Lord” (v. 27) is to treat as common or profane something which is sacred. The Lord's Supper is not just another meal. 9. Part of the Lord's Supper is examining ourselves. Content taken from the article, 10 Things You Should Know about the Lord's Supper from 1 Corinthians, written by Sam Storms, originally appearing on SamStorms.com. To read the text version please click the link.